Whether your property’s siding is warped, cracked, falling off, or simply faded, investing in replacement is valuable. New siding works wonder in raising your house’s curb appeal, resale value, energy efficiency, and structural integrity. Siding adds charm, but it more importantly adds an extra defense system for protecting outer walls from rain and intense Texas sunshine. Greater Austin homeowners often turn to fiber cement, vinyl, aluminum, and wood siding to give their facades a flawless finish. Start contacting some of these great siding installers and contractors in Williamson County, Texas, to find your home’s best fit. With 28 years of experience, Allied Siding & Windows is a licensed Texas home remodeling company owned by Leonard Courtright to provide siding, windows, roofing, gutters, doors, and EnergyWise radiant shield. Featured on “Extreme Makeover Home Edition,” Allied Siding & Windows won the BBB Pinnacle Award and Lone Star Small Business of the Year Award. 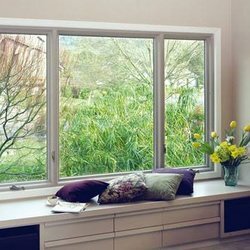 Named among Qualified Remodeler’s Top 500, Amazing Siding & Windows is a BBB-accredited renovation company offering A+ windows, siding, and doors from nine national locations since 1989. Satisfying over 200,000 homeowners, Amazing Siding & Windows is a James Hardie Preferred Remodeler, NARI member, and EPA Lead-Safe Certified Firm. 3. Americraft Siding and Windows Inc. 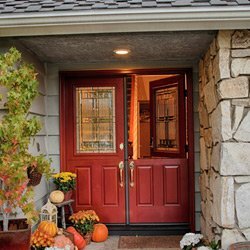 Locally owned in Pflugerville since 1983, Americraft Siding and Windows Inc. is a trusted home improvement business serving Central Texas with licensed window replacement, siding, door installation, insulation, radiant barrier, and decking services. Holding an A+ BBB rating, Americraft Siding and Windows is a proud National Association of Home Builders member. Given James Hardie Preferred Remodeler status, ASAP Windows & Siding is an authorized dealer installing windows, patio doors, and siding on homes across Greater Austin. Featuring money-saving monthly specials, ASAP Windows & Siding is BBB-accredited with an A+ rating, four stars on GuildQuality, and EPA Lead-Safe certification. Formerly named Austin Hardipros, Brightwing Custom Crafted Exteriors is a licensed, Austin-based contractor providing professional installation services of siding, windows, doors, gutters, and exterior painting. Along with an A+ BBB rating, Brightwing Custom Crafted Exteriors has earned the Angie’s List Super Service Award and Hardie Preferred Remodeler status. Celebrating its 30th anniversary, Capital Construction Services is a NARI-endorsed contractor that’s remodeled over 3,500 Texas homes with premier siding, window, decking, patio, sunroom, and hardscaping services. Featured on Fox 7 News, Capital Construction Services has earned two Angie’s List Super Service Awards and BBB accreditation. Capital of Texas Roofing & Siding is a full-service member of the Austin Chamber of Commerce devoted to completing residential and commercial projects with high-quality craftsmanship since 1990. Offering free estimates, labor warranties, and a 100% satisfaction guarantee, Capital of Texas Roofing & Siding holds BBB accreditation with an A+ rating. 8. M&M Roofing, Siding & Windows Inc.
Certified by the AAMA, Net Siding & Windows is a locally owned Energy Star Partner that’s going “green” by installing eco-friendly window, siding, doors, patios, and garage doors on Central Texas residences. Fully accredited by the BBB with an A rating, Net Siding & Windows carries products made in the U.S. and offers discounts for military veterans. Premium Siding, Windows & Painting has been a family-owned, BBB-accredited company with an A+ rating since 2007 to serve Central Texas home and business owners with the highest quality of remodeling products. Carrying exclusively James Hardie siding with ColorPlus technology, PSP is licensed and insured with 25 years of experience. Though inhabited since the late Pleistocene Age, Williamson County was officially established in 1848 and named for the Texas Supreme Court Justice, Robert McAlpin Williamson. Spread across 1,134 square miles, Williamson County is located on the eastern fringes of Texas Hill County beyond the Balcones Escarpment. The U.S. Census Bureau reports that 508,514 people call Williamson County home. Population growth has spiked by 20 percent since 2010. The county seat is Georgetown, but other towns include Cedar Park, Florence, Jollyville, Leander, Liberty Hill, Round Rock, Serenada, and Taylor. Williamson County’s most famous former resident is Sam Bass, an Old West outlaw killed in Round Rock. The median household income is $72,118 and the homeownership rate is 68 percent. Williamson County experiences a humid subtropical climate with sizzling summers, mild winters, and nearly 2,650 hours of sunshine each year. Notable attractions located here include Lake Travis, Hippie Hollow Park, Inner Space Cavern, Dell Diamond, and Rock’n River Family Aquatic Center.